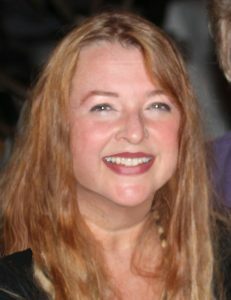 Stephanie Jourdan, Ph.D., maintains a limited private practice encompassing astrology, archetypal therapy, and tarot. She is a member of the American Federation of Astrologers and current president of the National League of Medical Hypnotherapists and Holistic Practitioners. An initial reading can be as short as half an hour or as long a two hours. Most people book an hour. Since session time is billed per minute, feel free to stop the session at any time to accommodate your budget. Most people have questions that arise after their session. You can either book a follow-up session or you can convey your questions to Sheri, who will go over your questions with Stephanie when scheduling permits. Sheri will then get back to you with your answers. You will be billed for Stephanie’s time via the credit card you have on file. If you do not have a credit card on file, be sure to give that information to Sheri so that your answers are not delayed. The charge to your credit card statement will appear as HSC, followed by our phone number. There is no reference to astrology or Stephanie’s name. If you do not feel the reading is what you were expecting and wanting, alert Stephanie immediately (within the first ten minutes) and she will stop the session and there will be no charge. Call Stephanie’s assistant, Sheri Buron, at 818-340-4099 to make an appointment. Stephanie began providing astrological readings in junior high school. Her love of mythology, tarot, and archetypal interaction grew out of this original passion.